As herb gardening is quickly becoming a very popular hobby as people look for ways to save money and eat healthier. Herbs that you grow in your own garden or in your home have higher nutritional value than herbs that you can buy at the store. They also cost less and are much better for you because they have not been sprayed with dangerous chemicals like insecticides. Some people even take this to the next level and make money by selling the extra herbs that they grow in their gardens at farmers markets or just to their neighbors. 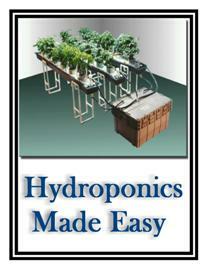 Herb gardening becomes more popular, there is more and more information available about it. If you are interested in getting your own herb garden started, you will want to find out which are some of the best culinary herbs. While there are many different types of herbs that you can grow, you may want to focus on herbs that you will actually use and can be used in a variety of different applications, or on herbs that you cannot get easily in your area. One of the most popular herbs that is fairly simple to grow is basil. Basil is a great culinary herb because it can be used in a huge amount of dishes and it requires very little care. As long as the basil is placed in the sunlight and has heat it will grow with minimal attention besides water. Another one of the most popular culinary herbs is Oregano. Oregano, like basil, can be used in a wide variety of dishes. It also has many different therapeutic properties as well. Oregano is a perfect herb to grow along with basil because the two are used together in many recipes. Dill is also a great culinary herb to grow. It can be used in soups, goes great with fish and eggs, vegetables, and many other applications. Dill is traditionally used in the pickling process and can add a great flavor to home pickled vegetables. These culinary herbs are just a sample and ultimately, you will have to decide which herbs you are going to use the most and plant those accordingly. You may want to look through the recipes that you normally use and choose the most common herbs to plant in your garden. However, you don’t have to limit yourself, you may also want to grow some herbs that you have never cooked with before so that you can add some new variety and different flavors to your cooking. The Internet is a great place to get more information on the culinary herbs that can be grown in your garden and used easily in your kitchen.